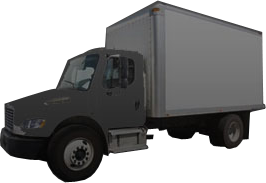 Discount Weston Movers is a family owned business that is operated by ABA Moving of Miami, Florida. We have been moving satisfied customers all over Florida for the past 10 plus years. In that time we have developed a reputation for friendly, quality service at an affordable price. Weston Movers is your one stop shop for all your moving needs, you name it, we can provide it. Counseling, wrapping, packing, shipping and storage. We have every facet of the moving business covered, all at the lowest prices around, guaranteed. With all the services that Weston Movers provides it is easy to see why we are the only company you will need for all your moving and shipping needs. Weston Movers provides relocation customers a true value on their move and put their mind at ease to keep the entire moving experience as quick, efficient and painless as possible. Weston Movers gives you the lowest price in the area which allows us to give you the best value in town. Your move will be fast, efficient and as painless as possible. We provide a proprietary mover system that figures exact move prices that contributes to our clients a fixed quote before they move, so they can rest assured about the price their move will cost. Our mission is to inform consumers of about the ins and outs of the moving business. We educate and advise all of the customers that walk through our doors on the highest quality service at the lowest price. Our team is committed to providing customized relocation solutions that meet the unique needs of our diverse customer base. Our staff has encountered every type of moving situation and found a solution for every one of them. Each situation has it's own unique set of circumstances and we strive to make your move as stress free as we possibly can. We help you plan your move and provide moving tips to help accomplish this. Weston Movers has become a leader in the South Florida community and built a reputation as one of the most reliable and competent moving companies in the area. When you consider the value that Weston Moving provides, the choice is clear.